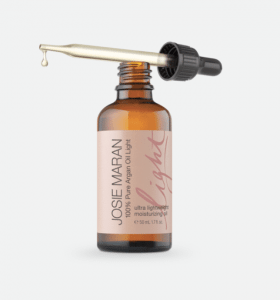 Absorbs easily into skin, intensely hydrating and leaving a dewy glow, the Josie Maran argan oil is part of my daily routine. 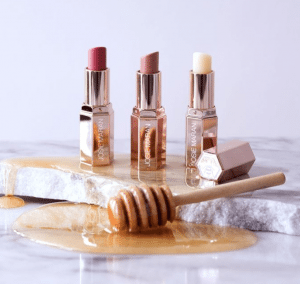 I am absolutely obsessed with this clean beauty brand and that’s why I decided to do this Josie Maran Review. I am using the 100% pure argan oil for the night and 100% pure argan oil light for the day (it leaves a matte finish). On most of my pictures, I am wearing the vibrance foundation and the plumping lipstick! Plus I keep my skin hydrated with the whipped body butter. So this brand really deserves its own review, right? When did this argan oil obsession start? 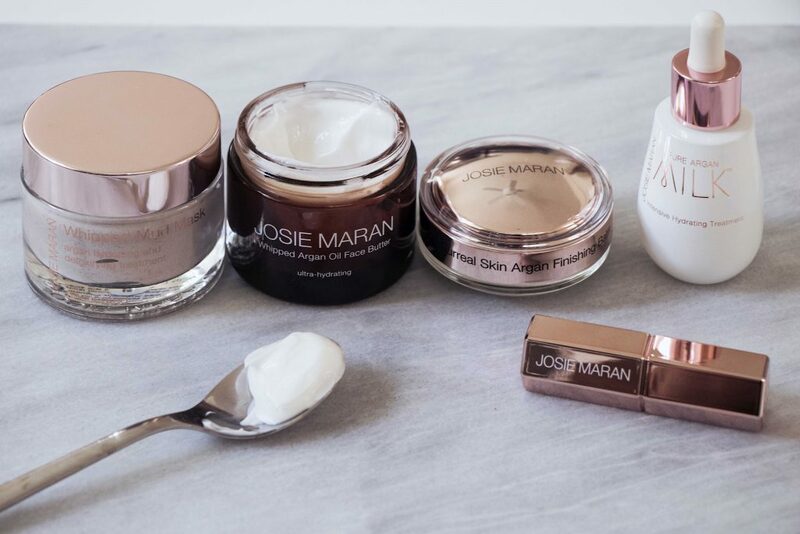 4 years ago, my sister, Mathilde who is leaving in the USA for many years introduced me to Josie Maran Cosmetics. At that time, this brand was not famous in Europe but I got some samples and loved them. During New York Fashion Week (in February 2017) my skin was very sensitive and dehydrated, I tried the light argan oil and saw the amazing effect on my skin. I tested a lot of different products from this brand. Here my 5 favorite items which really stand out compared to other brands! There’s only one ingredient in this bottle: 100% pure, 100% organic, 100% natural Argan Oil. This multi-tasker nourishes, conditions, and heals. 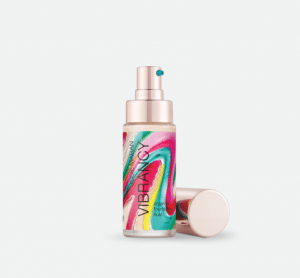 Intensely hydrating and leaving a dewy glow. I use this version on my face for the night, or on my hair ends, or hands. The smell is perfect compared to other argan oils. 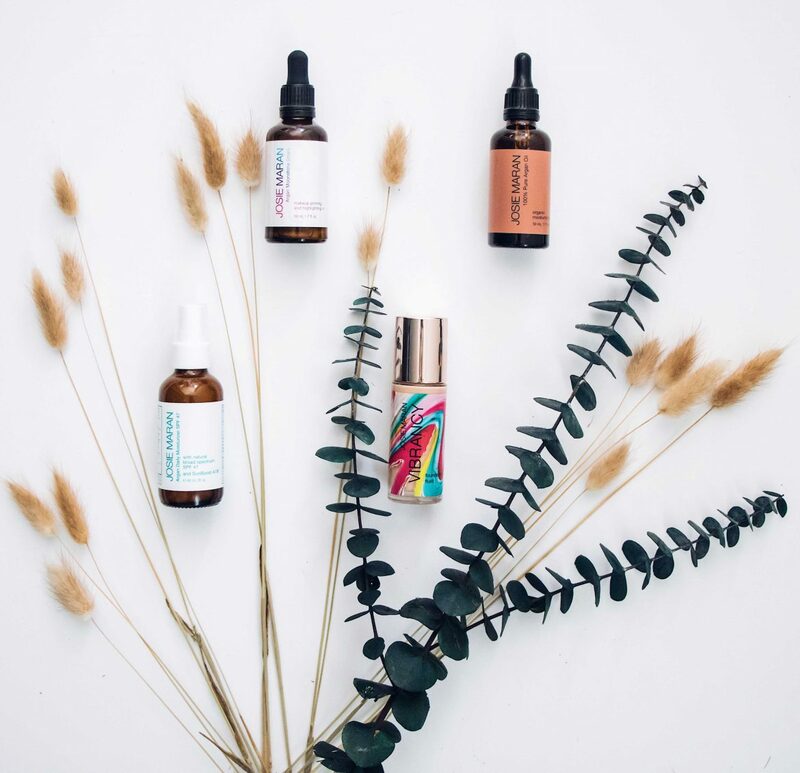 The 100% pure Argan Oil Light has all the same hydrating, balancing, repairing, and replenishing benefits plus it absorbs faster and leaves a matte finish. As I am living in Los Angeles and I have a combination skin, the light version is more appropriate for the day. I use it on my face and neck. The oil is not greasy, absorbs into my skin and leaves it softer and smoother. This lipstick contains a proprietary lip-plumping complex which visibly enhances lips for a voluptuous, juicy pout. This plumping lip butter really nourishes, conditions, soothes, and volumizes lips. It contains only natural ingredients, which is very important for a lipstick, not to mention that the taste is amazing! It gives the right amount of color for a natural look. This foundation naturally blends with skin to give it an even tone, with a slight glow. If you have blemishes or rosy red cheeks or a dry skin, this foundation smoothes and evens the skin tone to a perfect finish. It does not take much to cover the face. Most of the ingredients are organic. This product won the Allure Best Of Beauty in 2016. 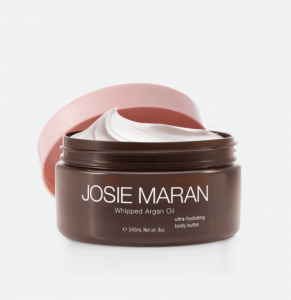 A silky, velvety and ultra-hydrating body butter packed with more than 10 plant oils and extract (including the famous 100% pure argan oil, shea butter, avocado oil and white tea) whipped to a feather-light texture.It really hydrates and repairs dry skin. It is not greasy and makes my skin feel very soft! I have the unscented version, but they have 8 different scents. ooooo these look so nice. I’ll have to give them a try! I LOVE Josie Maran. Her products are some of my favorites! All of these products sound amazing! I definitely need to try! I need to try her! I’ve been looking for more natural products to transition to! My favorite Josie Maran product is their body butter. I love the body butter!!! 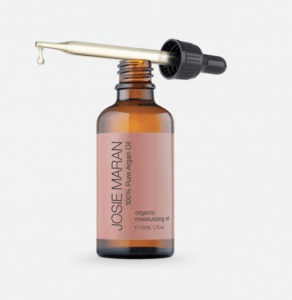 Josie Maran makes THE best argan oil! I love all of her products! I always loved argan oil, and these natural products sound so great! Thanks for this review! I didn’t know how amazing argan oil was for the skin. I’ve been recommended to use rosehip oil on my face at night. I’ll do a bit more research between argan oil and rosehip oil to see which one I’ll get. I love argon oil– especially for my hair!!! this body butter looks like something up my alley though! I’m a big fan of that argan oil and use it too! This is such a great brand! Love all the products. They all sound amazing! Also love the packaging! Yes, such a great review! These products sound amazing! I love the body butter!